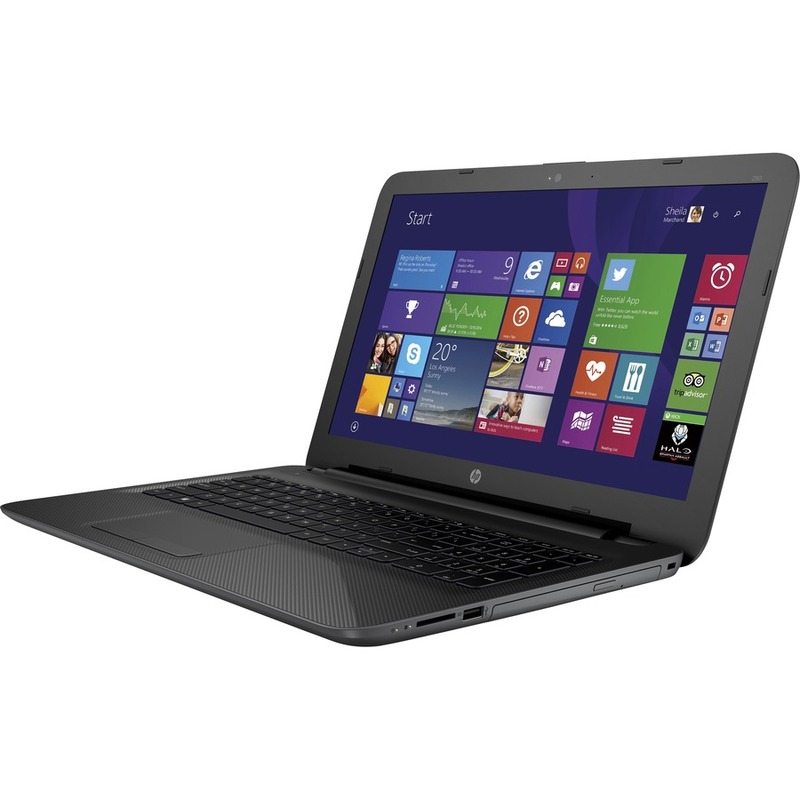 HP 250 G4 15.6" Best Selling HP Laptop Intel Core i3-4005U, 8GB RAM, 500GB HDD. The HP 250 G4 (PN: M9S82EA#ABU) is the ultimate blend between high performance computing and amazing value for money pricing. Featuring solid performing processor power from the Intel Core i3 dual core, and ample 4GB RAM, The HP 250 G4 is easily capable of keeping up with the most demanding power user and multitasker. The HP 250 G4 also features a huge 500GB of storage space, perfect for keeping your digital media such as movies and music a few clicks away, and if you want to show off your videos, The HP 250 G4 also comes equipped with a HDMI port so you can quickly connect to an external display. Get connected with the value-priced HP 250 Notebook PC. Complete business tasks with Intel technology, essential multimedia tools and Windows 7 Pro loaded on the HP 250. The durable chassis helps protect the notebook from the rigors of the day. Confidently complete projects with Windows 7 Pro and the power of Intel® Core i3 processor.